Prime Minister Ranil Wickremesinghe yesterday denied that Sri Lanka was in danger of spiralling into a debt trap from excessive Chinese borrowing, and insisted the country was not “under threat” from trade tensions between US and China. 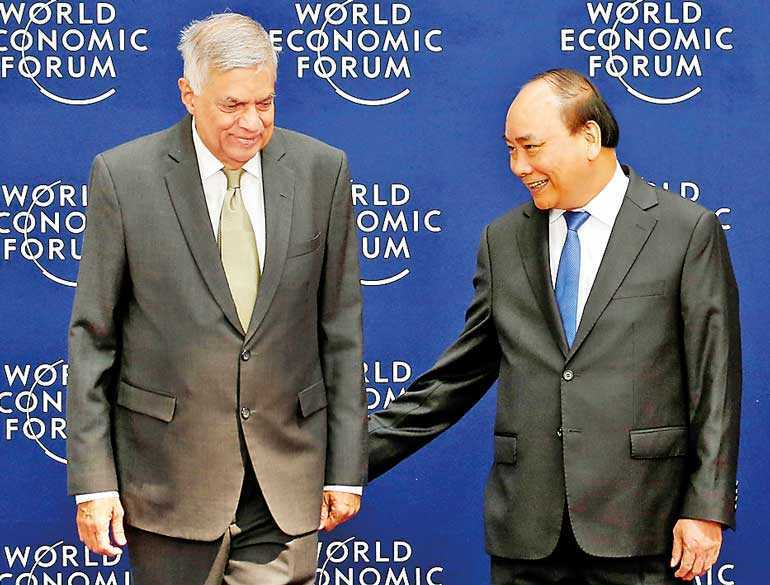 Speaking at the World Economic Forum in Vietnam, Wickremesinghe noted Sri Lanka had not given control of the Hambantota port to China, and strove to provide a balanced view of Sri Lanka’s debt situation. “There is a fair amount of Chinese investment, there are China loans, but I can’t see it as a threat and the amount is not big. Our largest loans are still dollar-denominated. As far as the loan-debt portfolio is concerned, our biggest chunk today would be the international sovereign bonds. With China, we did have short term issues regarding the Hambantota Harbour and the Mattala Airport, but that has been sorted out and at least we are turning them into profitable projects,” he said. Wickremesinghe also insisted the Government was focused on maintaining the currency at practical levels, and said Sri Lanka was focused on building reserves by encouraging exports and investment. “We and many others are running deficits in Asia, and that certainly would be a matter of concern, but so far we have been able to negotiate with the rating agencies, and it has certainly not affected our borrowing capacity,” he added.